GALAPAGOS: Officials at Ecuador’s Galapagos National Park say they have collected 22 tonnes of garbage since January off the coasts of the pristine archipelago, some of it from as far away as Asia. The coastal garbage cleanup is aimed at studying “the possible arrival of invasive species in the waste swept in by the ocean currents,” the Park said in a statement. 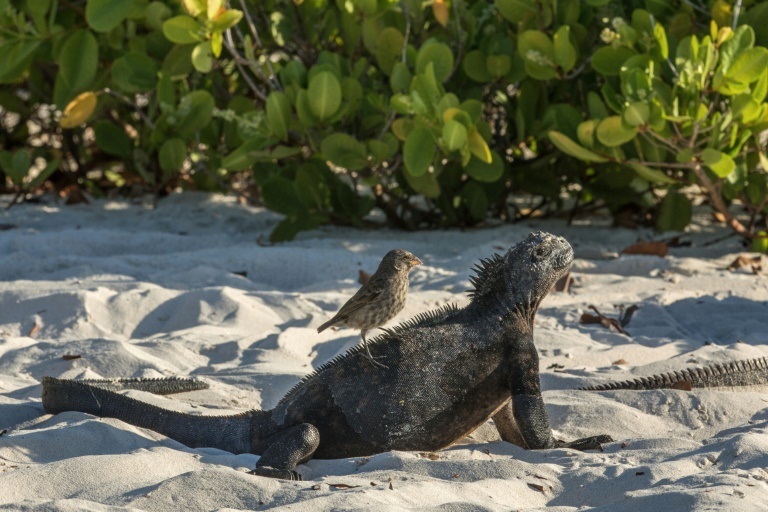 The Galapagos, the Pacific archipelago of volcanic islands that inspired Charles Darwin’s theory of evolution, are located about 1,000 kilometers (600 miles) off the coast of Ecuador. The bulk of the garbage reaches the island shores “from the coasts of Central and South America, and even from the Asian continent,” the statement said. The national park, created in 1959, protects 97 percent of the islands’ land surface. The Galapagos has an especially high concentration of endemic species, including giant tortoises and penguins. In 1978 UNESCO classified the islands as a World Heritage Site. A marine reserve spanning 138,000 square kilometers (53,280 square miles) was also established. And a 38,000-square-kilometer marine sanctuary in which all fishing is banned was set up between two of the islands. Those waters are home to the world’s highest concentration of sharks. Most of the garbage comes from outside as Ecuador has a strict limit on visitors, and only 26,000 people live on the four inhabited islands. Galapagos authorities limit construction, promote the use of renewable energy sources, and have banned plastic bags to protect the unique environment of the islands.